The CamTESOL Conference Series is a premiere professional development and networking platform in the Asia-Pacific region. 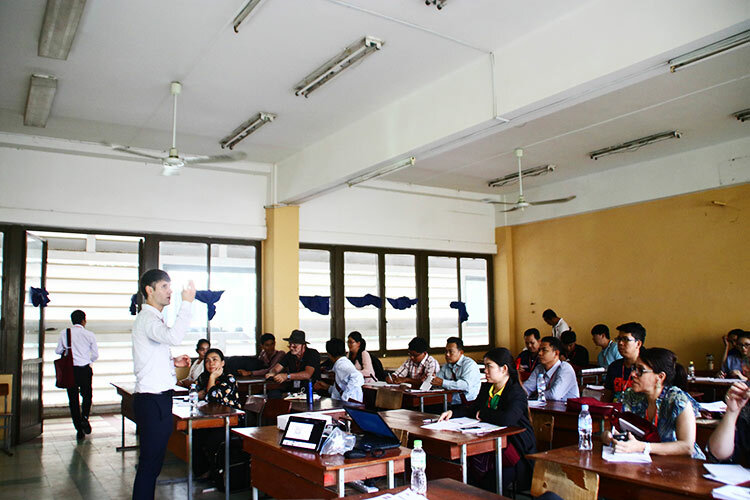 CamTESOL is hosted annually by IDP Education (Cambodia), a world leader in international student placement and education services with relevant stakeholders in Cambodia and internationally. 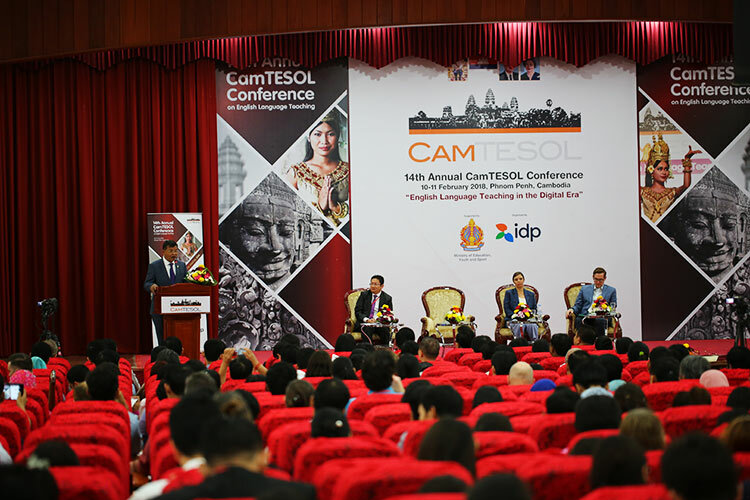 The 15th CamTESOL Conference will be held in Phnom Penh on 15–17 February 2019 with the theme, “Teachers as Learners”. It is set to welcome an audience of 1,700 delegates from over 30 countries around the world who are classroom teachers of English, teacher trainers, researchers in the fields of ELT and linguistics, administrators of English language schools and universities, and educators with an interest in international language education. Among more than 400 speakers, Professor Anne Burns, Professor of TESOL at the University of New South Wales, Australia, and Joe McVeigh, Educational Consultant and Teacher Trainer, Middlebury, Vermont, USA, will be the Plenary Speakers at CamTESOL 2019. CamTESOL 2019 activities include the Main Conference, educational and cultural tours, the CamTESOL Regional ELT Research Symposium and the CamTESOL ELT Leadership Forum. “This year CamTESOL is expanding its offerings with both the Main Conference and the pre-conference activities. 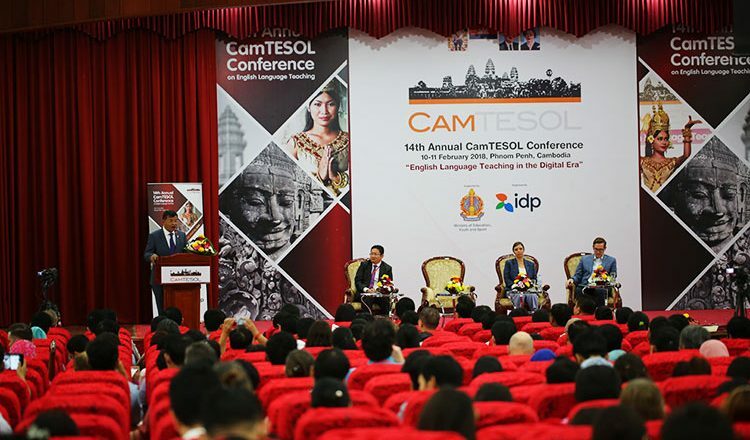 No matter what stage one is at in their ELT career, CamTESOL has a wide range of professional development opportunities and activities to offer delegates”, said Visal Sou, CamTESOL Conference Manager. “We’ve been watching CamTESOL from afar for over a decade. It was like a little mini-United Nations with people from all over Southeast Asia and from other parts of the world. It was such a wonderful meeting ground for teachers to share ideas with one another”, said Professor Fredricka L. Stoller, who delivered a plenary session at CamTESOL last year. “We talked to people from so many different situations and teaching environments, and shared ideas. I think it’s a great, positive organisation and conference”, said Professor William Grabe, who also presented a plenary session at CamTESOL 2018. “At the Australian Centre for Education (ACE), we have seen teachers attend the conference and return with practical resources that they are able to incorporate into their classrooms and other aspects of their work. I encourage all teachers in the ELT field to consider attending this conference, as I have witnessed the positive impacts it has had on the teachers at my school”, said ACE Principal, Ashley Irving. A couple of Organising Committee members were asked about their perspective on CamTESOL, and they had several comments to make. “CamTESOL is a platform that brings together local and international language educators, administrators and researchers to share their experiences and new approaches to language teaching and learning. I have been attending the conference since 2008 as a volunteer, a presenter and a participant representing my language institution”, said Vicheth Pak, Deputy Director, SIS International School. “Not only has CamTESOL contributed to the development of my English language teaching skills, it has also enriched my research experience and expanded my network with other ELT and research professionals, locally and internationally. 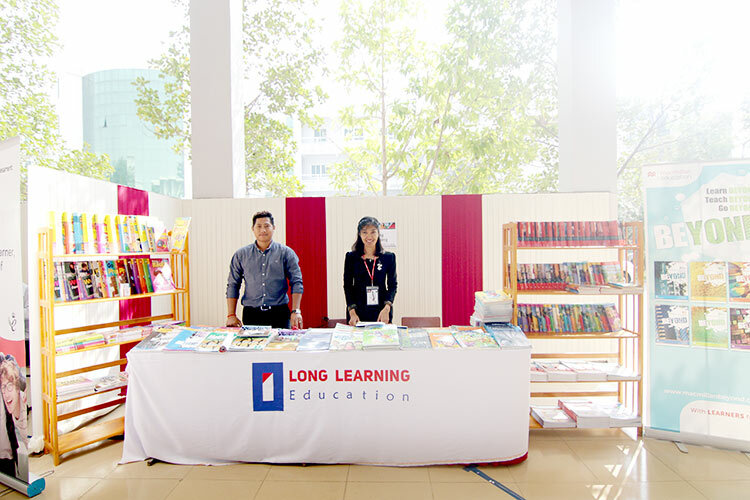 When I think of CamTESOL, I think of ELT-related professional development opportunities”, said Heng Vileak, Director of Study, CIA First English Centre. CamTESOL 2019 will also host leading international publishers and relevant institutions and companies at the CamTESOL exhibition and networking floor. They will be displaying their latest publications as well as their products and services.